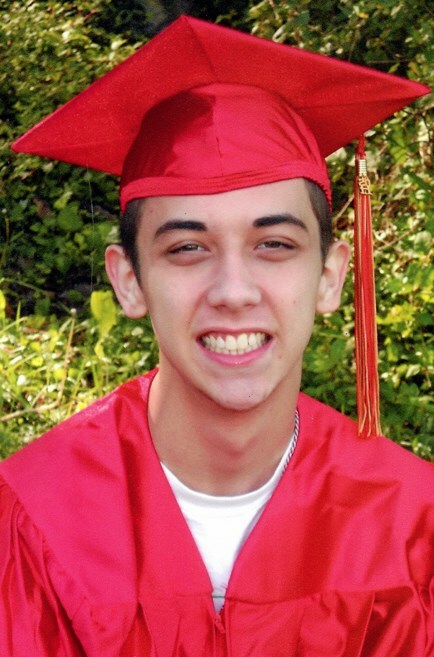 Ryan James O&apos;Laughlin, 21, Johnson City, went to be with the Lord on Tuesday, September 30, 2014. Ryan was a native of Johnson City. He was the son of the late Stacy and Jody Neuburger O&apos;Laughlin. He was a loving brother, son, nephew, cousin, grandson, and friend. He was most passionate about music and what God held for him in the future. He was so full of life and would brighten the room with his smile. Most kind hearted person you could meet and his presence will be missed dearly. Survivors include: one sister, Amber O&apos;Laughlin; grandparents, James and Vernice Franklin; grandparents, Finley and Virginia O&apos;Laughlin; grandfather, James Neuburger; three uncles, Troy O&apos;Laughlin, Ronald Neuburger, and Joe Castillo; two aunts, Larinda Castillo and Kathy O&apos;Laughlin; and several cousins. The family of Ryan James O&apos;Laughlin will receive friends from 5 to 7 PM Thursday, October 2, 2014, at Tri-Cities Church of God, Piney Flats. The funeral service will follow at 7 PM with Pastor Richard Bawgus and Associate Pastor Jason Bawgus officiating. The graveside committal service will be conducted at 11 AM Friday, in the Roselawn Memorial Park. Active pallbearers will be James Cato, Drew Rafalowski, Bo Ingram, James Franklin, Cody O&apos;Laughlin and Troy O&apos;Laughlin. Ministers, family and friends are requested to meet at the funeral home by 10:15 AM Friday to go in procession to the cemetery. There is one thing for sure God gained another one of his Children…We never know the things that God has in store..he knows the Big Picture…Ryan was a special child.. along with his sister…beautiful children..from the first day they came to church…precious precious children …..in a loving family that they were the spotlight…Amber and Ryan stuck together like glue…They felt Love from the beginning…Both of them would lighten up a room with their smile….I remember the church praying over these children..and God certainly has a plan for their life…seeing them grow up in a family that loved god and loved them beyond measure….the support they have had from cousins and uncles and aunts…He grew up and became a fine young handsome man and personality that rocked the world…He truly will be missed and never forgotten that big smile…My heart goes out to Amber his co heart ….Prayers for the family……I know God is the Great Comforter and in his word you will find peace…Im sorry i couldnt make it to the service…but my prayers are continually for the family and friends who walk in this moment…Jesus said Let not your heart be troubled and neither let it be afraid….and Fear not for I am YOUR GOD…he knows you and your heart and he has a purpose and a plan for each one of us…he knows the Big Picture. …I look forward to the day that we are reunited with loved ones that have gone before us….I pray that the peace that passeth all understanding comfort you during this time…Theres gonna be a celebration in heaven one day and then we will be with the loved ones like Ryan,Moms,Dads, Sisters and Brothers we will be in the presence of the Lord…..wat a time we will have….So Ryan wait on us …you will never be forgotten and until we meet again we will cherish our beautiful memories of you….